Tutankhamun, or better known as King Tut, is an 18th dynasty pharaoh who inherited the throne at a young age. His reign was short-lived and upon his death he quickly faded into the sands of Egypt. Once forgotten, King Tut now remains one of Egypt’s grandest icons. He continues to hold the world’s fascination and yet he still continues to puzzle the world’s leading experts. So many stories surround this pharaoh that at times it can be daunting. 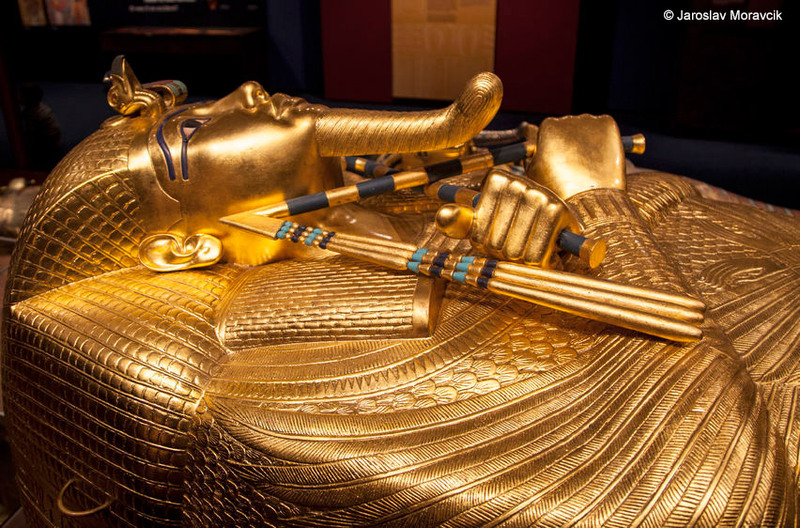 Come take an in-depth look at King Tut and explore his life, treasure, curse, and discovery. Then venture deep into his tomb as Howard Carter did on November 22, 1922. Discovery Of King Tut’s Tomb – Discover how Howard Carter unearthed the world’s most unbelievable gem. Tutankhamun’s Life – A brief insight into the life of this young king and his empire. Tutankhamun’s Tomb: A Last Minute Effort – A rushed tomb that was considered modest to pharaonic standards. Who Was King Tut’s Mother? – Who was this mysterious figure that’s hard to pinpoint? The Death of the Young Pharaoh – Is this scandalous theory true, was King Tut really murdered? Find out! Enter King Tut’s Virtual Tomb – Take a tour of his tomb as Howard Carter did November 22, 1922! The Curse of the Mummy – Did the curse really ravage those who opened his tomb? Tomb Chambers – Get an overall view of the tomb and read about each chamber. His Treasures – See some of the treasures that captivated the world. King Tut Quiz – After reading about King Tut, come see how much you know about the young pharaoh.